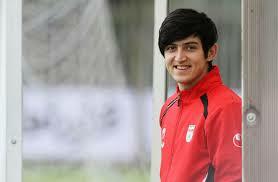 Iranian young talent Sardar Azmoun probably can make a sensational return to Rubin Kazan, after spending 2 seasons and a half to FC Rostov. According to Russian sports newspaper Sport-Express, the 22-years-old forward has already passed medical tests at Rubin training camp in Austria, so the transfer could be announced soon. Azmoun joined for the first time Rubin Kazan in 2013 and soon became regular in the line-up under Kurban Berdyev: when in 2015 the Turkmen coach moved to FC Rostov, the youngster followed him on loan, helping his new team to avoid relegation. The season after FC Rostov nearly won Russian Premier League, ending second on table, just two points from winner CSKA. Last season Azmoun was Apple of Discord between both Russian clubs since Rubin claimed that the player had to return from loan, whereas FC Rostov declared there was a buy-out clause in the contract. On 26 January 2017 FIFA ruled in favour of Rostov, waiting for a decision by the Court of Arbitration for Sport (actually expected on summer 2017). However Azmoun played successfully 2016-17 UEFA Champions League: on playoffs he scored against Anderlecht and Ajax; then on group stage he striked both European giants Bayern Munich and Atletico Madrid.